Himachal Pradesh ([ɦɪmaːtʃəl prəd̪eːʃ]; literally "The Abode of Snow") is a state of India located in Northern India. 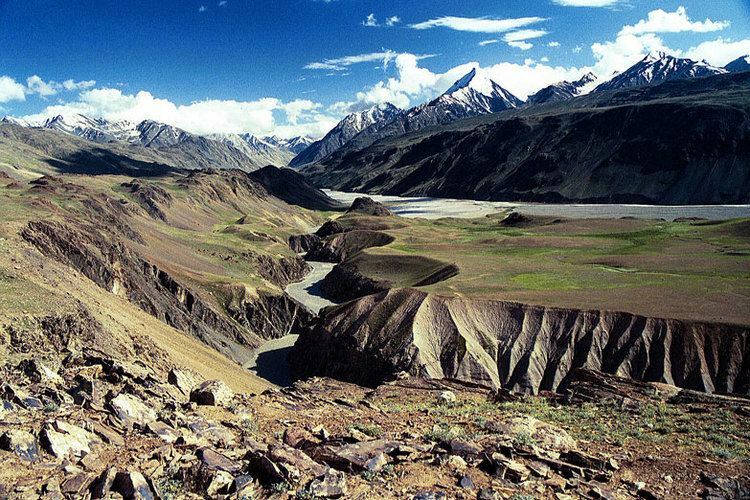 It is bordered by Jammu and Kashmir on the north, Punjab and Chandigarh on the west, Haryana on the south-west, Uttarakhand on the south-east and by the Tibet Autonomous Region on the east. It also touches the state of Uttar Pradesh at southern most point. The name was coined from Sanskrit Him means 'snow' and achal means 'land' or 'abode', by Acharya Diwakar Datt Sharma, one of the state's most eminent Sanskrit scholars. Himachal Pradesh is known for its natural environment, hill stations, and temples. Himachal Pradesh has been ranked fifteenth in the list of the highest per capita incomes of Indian states and union territories for year 2013-14. Many perennial rivers flow in the state, and numerous hydroelectric projects set up. Himachal produces surplus hydroelectricity and sells it to other states such as Delhi, Punjab, and Rajasthan. Hydroelectric power projects, tourism, and agriculture form important parts of the state's economy. Shimla district has the largest urban population in the state at 25%. It has incorporated environmental protection and tourism development has been aided with a government ban on the use of polyethylene bags, reducing litter, and tobacco products, to aid people's health. According to a latest 2017 survey by an international organization, Himachal Pradesh was ranked least corrupt state in the country. After independence, the Chief Commissioner's Province of Himachal Pradesh. was organized on 15 April 1948 as a result of integration of 28 petty princely states (including feudal princes and zaildars) in the promontories of the western Himalaya. These were known as the Simla Hills States and four Punjab southern hill states under the Himachal Pradesh (Administration) Order, 1948 under Sections 3 and 4 of the Extra-Provincial Jurisdiction Act, 1947 (later renamed as the Foreign Jurisdiction Act, 1947 vide A.O. of 1950). 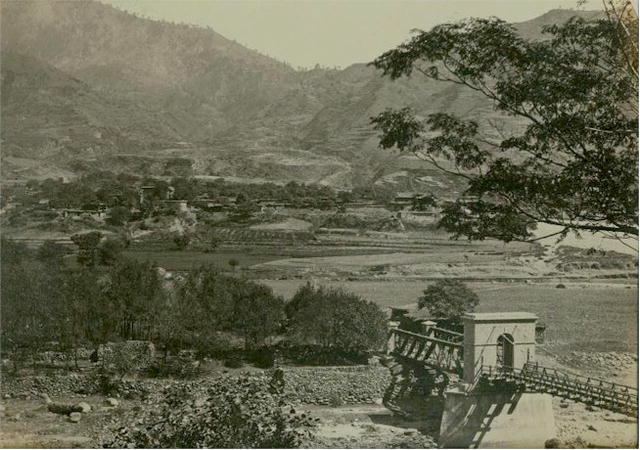 The State of Bilaspur was merged into Himachal Pradesh on 1 April 1954 by the Himachal Pradesh and Bilaspur (New State) Act, 1954. Due to extreme variation in elevation, great variation occurs in the climatic conditions of Himachal . The climate varies from hot and subhumid tropical in the southern tracts to, with more elevation, cold, alpine, and glacial in the northern and eastern mountain ranges. The state's winter capital, Dharamsala receives very heavy rainfall, while areas like Lahaul and Spiti are cold and almost rainless. Broadly, Himachal experiences three seasons: summer, winter, and rainy season. Summer lasts from mid-April till the end of June and most parts become very hot (except in the alpine zone which experiences a mild summer) with the average temperature ranging from 28 to 32 °C (82 to 90 °F). Winter lasts from late November till mid March. Snowfall is common in alpine tracts (generally above 2,200 metres (7,218 ft) i.e. in the higher and trans-Himalayan region). Himachal is also said to be the fruit bowl of the country, with orchards being widespread. Meadows and pastures are also seen clinging to steep slopes. After the winter season, the hillsides and orchards bloom with wild flowers, while gladiolas, carnations, marigolds, roses, chrysanthemums, tulips and lilies are carefully cultivated. 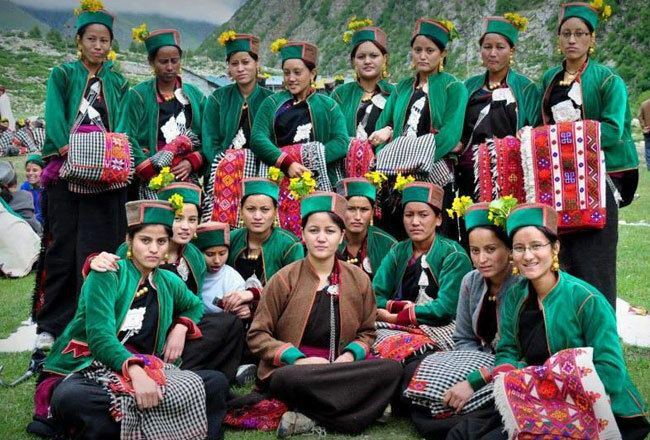 The state government is gearing up to make Himachal Pradesh as the flower basket of the world. Himachal Pradesh Horticultural Produce Marketing and Processing Corporation Ltd (HPMC) is a state body that markets fresh and processed fruits. 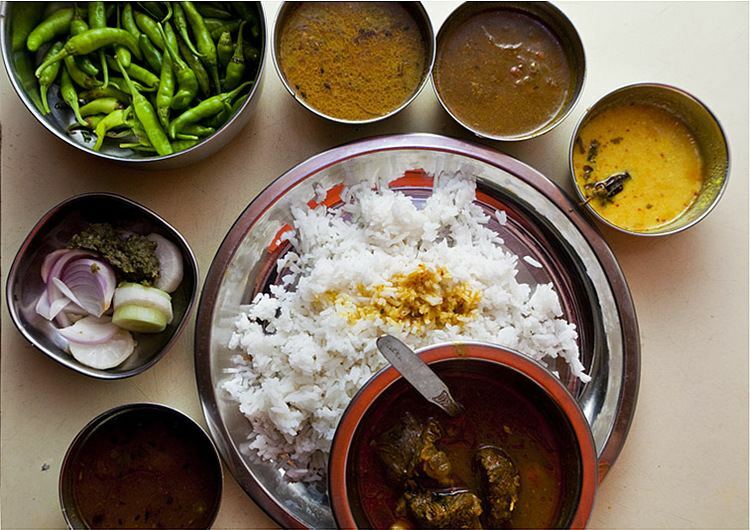 Agriculture contributes about 9.4% to the net state domestic product. It is the main source of income and employment in Himachal. About 90% of the population in Himachal depends directly upon agriculture, which provides direct employment to 62% of total workers of state. The main cereals grown are wheat, maize, rice and barley. Apple is the principal cash crop of the state grown principally in the districts of Shimla, Kinnaur, Kullu, Mandi, Chamba and some parts of Sirmaur and Lahaul-Spiti with an average annual production of 5 lakh tonnes and per hectare production of 8 to 10 tonnes. The apple cultivation constitute 49 per cent of the total area under fruit crops and 85% of total fruit production in the state with an estimated economy of ₹3500 crore. Apples from Himachal are exported to other Indian states and even other countries. In 2011-12, the total area under apple cultivation was 1.04 lakh hectares, increased from 90,347 hectares in 2000-01. Tourism in Himachal Pradesh is a major contributor to the state's economy and growth. The mountainous state with its Himalayan landscapes attracts tourists from all over the world. Hill stations like Shimla, Manali, Dalhousie, Chamba, Dharamsala and Kullu are popular destinations for both domestic and foreign tourists. 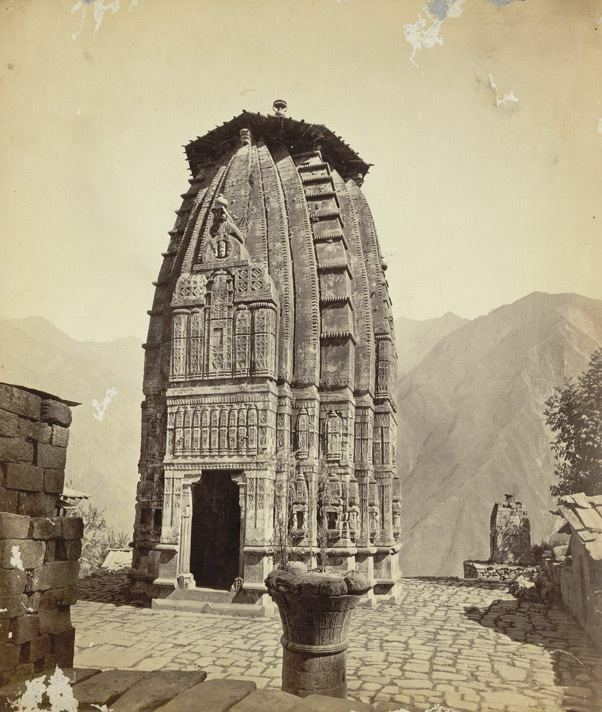 The state has many important pilgrimage centres with prominent Hindu temples like Naina Devi Temple, Vajreshwari Devi Temple, Jwala Ji Temple, Chintpurni, Chamunda Devi Temple, Baijnath Temple, Bhimakali Temple, Bijli Mahadev, Manu Temple at Shenshar in Kullu district, Renuka Lake and Jakhoo Temple. The state is also referred to as "Dev Bhoomi" (literally meaning Abode of Gods) due to its mention in ancient holy texts and occurrence of large number of historical temples in the state. It is also called the Land of the Gods on account of the Hindu belief that deities like Lord Shiva considered the Himalayas their home, and much of the state is located among the Himalayan mountains. Although modern pop-literature writers online have often also referred to Uttarakhand as the land of the gods because it also contains Himalayan mountains, officially it is Himachal Pradesh that has been considered the land of the gods since before the state of Uttarakhand existed (UK as it is abbreviated on license plates for automobiles in the state, and the state was founded in the year 2000.). A tourism department board on the road when entering Himachal Pradesh from the state of Punjab states "Welcome to the Land of the Gods." Himachal Pradesh has a total population of 6,864,602 including 3,481,873 males and 3,382,729 females as per the final results of the Census of India 2011. This is only 0.57 per cent of India's total population, recording a growth of 12.81 per cent. The total fertility rate (TFR) per woman is 1.8, one of lowest in India. The life expectancy at birth in Himachal Pradesh is 62.8 years (higher than the national average of 57.7 years) for 1986–1990. The infant mortality rate stood at 40 in 2010, and the crude birth rate has declined from 37.3 in 1971 to 16.9 in 2010, below the national average of 26.5 in 1998. The crude death rate was 6.9 in 2010. Himachal Pradesh's literacy rate almost doubled between 1981 and 2011 (see table to right). Naib Subedar Sanjay Kumar, PVC ( 3 March 1976) is an Indian Army soldier, a Junior Commissioned Officer and recipient of the Param Vir Chakra, India's highest military award. There are over 10,000 primary schools, 1,000 secondary schools and more than 1,300 high schools in Himachal. The state government has decided to start three major nursing colleges to develop the health system in the state. In meeting the constitutional obligation to make primary education compulsory, Himachal has become the first state in India to make elementary education accessible to every child. The state has Indira Gandhi Medical College and Hospital, Homoeopathic Medical College & Hospital, Kumarhatti. Besides that there is Himachal Dental College which is the state's first recognised dental institute.